Transform lives by serving at the Library! From welcoming guests and helping them through the Library, to praying with those who want to make a decision for Jesus Christ, Library volunteers ensure a friendly and spiritually enriching time for all Library guests. If you want to minister to people from around the world and enjoy working with others, would you prayerfully consider becoming a Library volunteer? We need men and women who are passionate about sharing the Gospel of Jesus Christ. Volunteers receive in-depth training, and have the joy of seeing lives changed through the power of the Holy Spirit. 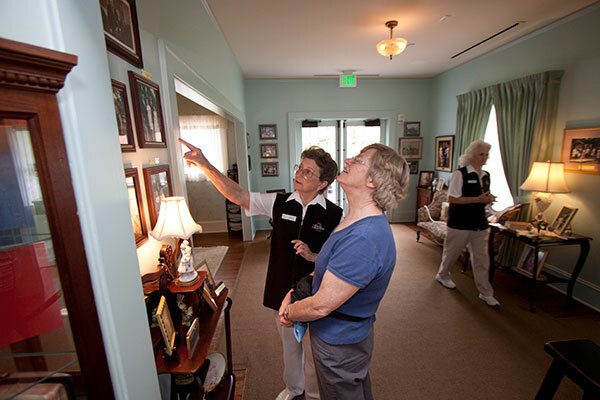 The Journey of Faith and Homeplace: Serve by welcoming guests to the Library and the Homeplace, assisting guests through The Journey of Faith tour, and praying with guests. You must commit to serve a minimum of 12 hours per month. If employed full-time, the requirement is 8 hours per month and may be completed in two 4-hour shifts on separate days or one 8-hour shift. Bookstore Greeter: Greet and direct guests in the bookstore area, hand out gifts to children, straighten and stock shelves, and perform administrative duties. You must commit to serve a minimum of 12 hours per month: one 4-hour shift per week or one 8-hour shift every other week. Dairy Bar Assistant: Provide customer service while cleaning, restocking, serving, and assisting with line control and general food service duties. You must commit to serve a minimum of 12 hours per month, one 4-hour shift per week on Thursday, Friday or Saturday. If employed full-time, the requirement is 8 hours per month. What are the benefits of becoming a Library Volunteer? Be a part of lives changing every day through the power of the Holy Spirit. Join a community of people who love to serve others and support one another. Be inspired to share your faith with others. Attend prayer and devotional meetings. Gain important community service hours. Grow and strengthen your faith. Enjoy discounts in the Graham Brothers’ Dairy Bar and Ruth’s Attic bookstore. What do year-round volunteers at the Library do? Welcome guests to the Library and the Homeplace. Assist guests through the Journey of Faith tour. What are the different shifts (times) available to serve? The morning shift is from 9 a.m. to 1:30 p.m. The afternoon shift is from 1 p.m. to 5:30 pm. Both shifts are given 25-minute breaks. Shift times for the Bookstore Team and Dairy Bar Team will vary. You must have a Christian testimony. You must reside in Charlotte, NC, or the surrounding area. You must visit the Library and go on the Journey of Faith tour. You must complete an interview and background check. You must provide pastoral and general reference. You must sign the Volunteer Agreement. 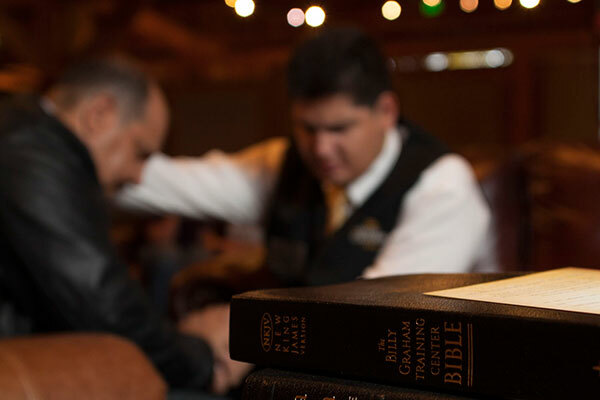 You must agree with BGEA’s Statement of Faith and Code of Conduct. You must be able to provide your own transportation to and from the Library. You must be able to stand for four hours (with breaks). The selection process begins with various reference checks, a criminal background check, and a one-hour interview. Once accepted, volunteers attend a day of On-site training and a day of Christian Life & Witness training. Begin by completing the volunteer application form. Please read our Statement of Faith and Volunteer Requirements before you apply. We will check your references and then contact you to schedule an interview. If we determine you are a good fit for our volunteer ministry, we will send you an invitation to our next On-site training here at the Library. 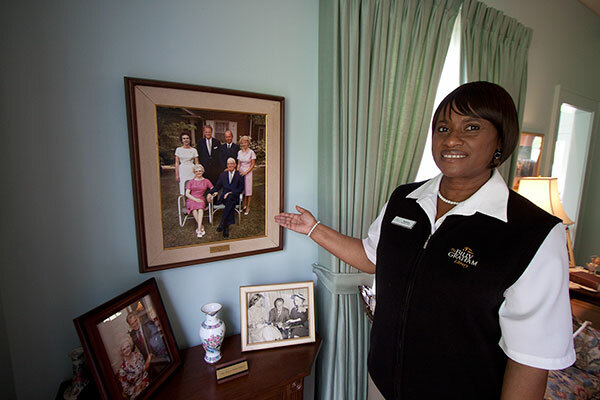 For The Journey of Faith and Homeplace volunteers, the Billy Graham Library provides a Billy Graham Library vest and scarf or tie. You provide a white collared short-sleeve or long sleeve shirt, black pants/skirt and comfortable shoes. Dairy Bar Assistants and Bookstore Greeters have separate apparel requirements. 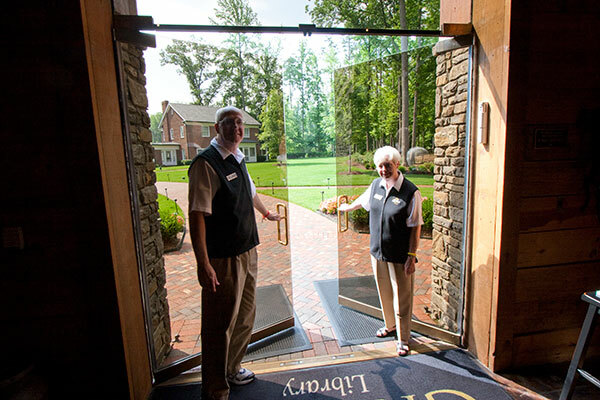 The Journey of Faith and Homeplace: Serve by welcoming guests to the Library, assisting guests through The Journey of Faith tour, and praying with guests. You must commit to serve 16 hours per month. Bookstore Greeter: Greet and direct guests in the bookstore area. 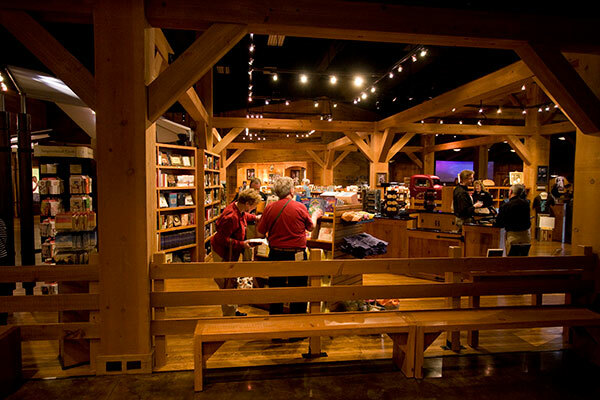 Volunteer will become familiar with the titles offered, gift products, and the layout of the store to help guests find the resources they need. Volunteer may occasionally be asked to straighten or restock as needed. Volunteer will primarily interact with guests in the bookstore. You must commit to serve 16 hours per month. Dairy Bar Attendant: Provide customer service while cleaning, restocking, serving, and assisting with general food service duties. You must commit to serve 16 hours per month. What do summer volunteers at the Library do? Welcome guests to the Library. Assist the Bookstore Team or the Dairy Bar Team. Shift times for the Bookstore Team and the Dairy Bar Team will vary. You must provide a pastoral reference. You provide a white collared short-sleeve or long-sleeve shirt, black pants/skirt and comfortable shoes. Special events at the Billy Graham Library include everything from indoor teas to outdoor events such as Bikers with Boxes. If you want to serve, but don’t have has much time to give, become a Billy Graham Library special events volunteer! Special events volunteers greet guests, offer directions, conduct registration/check-in and distribute food, drinks and gifts. Event Assistant: Assist in areas such as greeting, registration, directions, and food and beverage stations, etc. You must commit to serve for at least 3 events or at least 15 hours (may include evenings and weekends) a year and agree to at least a year commitment. What do special events volunteers at the Library do? Assist the Program Team in areas such as greeting, registration, directions, and food and beverage stations. Times fluctuate depending on special event scheduling. You must meet Program Team requirements. Once accepted, volunteers attend training. Apparel requirements will differ depending on the event. 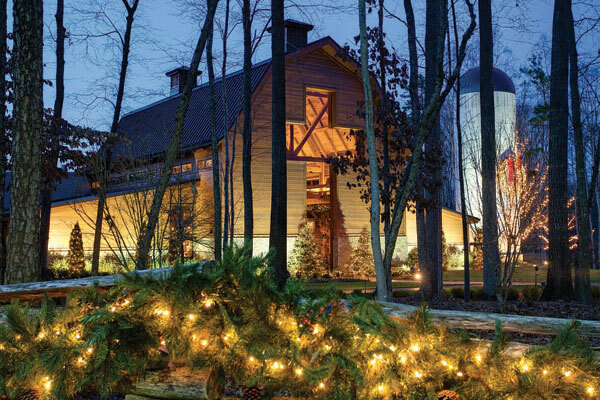 Last year, the Billy Graham Library welcomed thousands to Christmas at the Library in December. 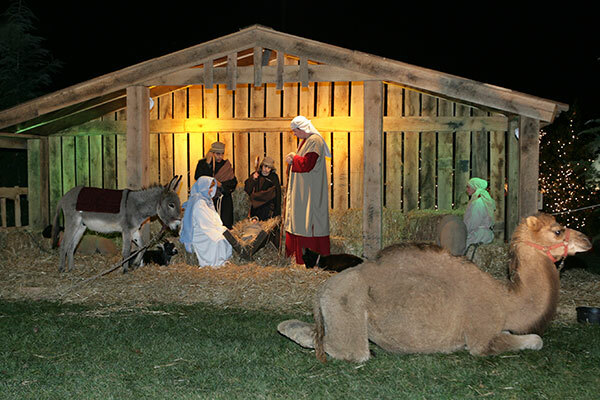 This year we are expecting even more individuals and families to celebrate the season of hope while viewing the live Nativity, enjoying carriage rides and being inspired by the life of Billy Graham. We need your help! If you have a heart for ministering to people of all ages with the love of Jesus, we are looking for volunteers to help during Christmas at the Library. You must be age 16 or older, and available to serve two or more shifts, 5 p.m. – 9:30 p.m. (Monday -Thursday) and 5 p.m. – 10:30 p.m. (Friday-Saturday). Dinner is provided and each shift includes a break. A big dose of Christmas cheer from being a part of this unique opportunity to serve! Training will be provided for each area. If you can volunteer in one or more of these areas, fill out the application and consent for background check forms below. Assist with gathering groups, taking tickets, line control, boarding and de-boarding at carriage rides. This position will require serving outside. An additional shift will be available on Saturday afternoons. Serve as a live nativity actor. This position will require serving outside. Assist with managing crowd control, keeping the area safe for our guests, and assisting guests with taking photos with a Nativity animal on Monday nights and photos by the Christmas tree each night. This position will require serving outside and inside. Assist by reading to the children using an expressive voice. Must be cheerful, energetic and enjoy working with children. May need to help with directing children and parents to story time area, crowd control and handing out stickers to children following story time. This position will require serving outside on an enclosed patio. Assist with greeting guests in the Bookstore area, some gift wrapping, and handing out gifts to children. Will need a general knowledge of location of bookstore items for restock and directing guests. No cash register is involved. This position requires standing for long periods. Provide good customer service while cleaning, restocking, serving, and assisting with line control and general food service duties or serving hot chocolate and cider to guests. This position will require serving inside or outside and standing for long periods. It does not require use of a cash register. An additional afternoon shift from 1 p.m. to 5 p.m. is available on Thursday, Friday and Saturday for assisting with general food service duties. Assists with scheduled music groups escorting to singing venues. This position will require serving outside. Serve by setting up the craft area, preparing and distributing craft materials, and assisting children as needed with assembling the crafts. This position will require serving outside on an enclosed patio. Only one shift per week is available, on Wednesday afternoons from 1:00-5:00 p.m. Assist by taking photos of individuals who would like their photograph taken in one of our beautiful Christmas carriages. Help with line control, as well as with boarding and de-boarding of the carriage for the photo. Camera (or cell phone, etc.) will be supplied by each guest that wants their picture taken. This position requires knowledge of Smartphones and serving outside. An additional afternoon shift from 1:00-5:00 p.m. is available on Saturdays. 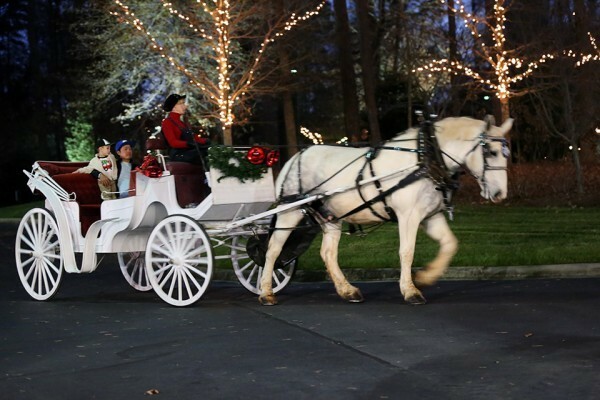 Welcome guests as they arrive at the Library and at BGEA Headquarters for Christmas dinner. This position will require serving outside. Please apply as soon as possible, and be sure to read our Statement of Faith and Volunteer Requirements before you apply.